A panel of carefully selected Irish and international speakers will be sharing their expertise with the audience at Cloud Camp. Most of the speakers are Microsoft Valuable Professionals, individuals that are recognised by Microsoft product groups for their expertise and community contributions. 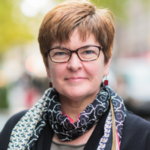 Mary Jo Foley has covered the tech industry for 30 years for a variety of publications, including ZDNet, eWeek and Baseline. She is the author of Microsoft 2.0: How Microsoft plans to stay relevant in the post-Gates era (John Wiley & Sons, 2008). She also is the cohost of the “Windows Weekly” podcast on the TWiT network. Got a tip? Send her an email with your rants, rumors, tips and tattles. Confidentiality guaranteed. Aidan is an 11-year Microsoft Valuable Professional (MVP) with previous expertises of System Center Configuration Manager and Hyper-V. 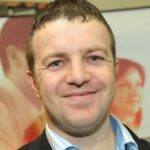 He works as the Technical Sales Lead of MicroWarehouse Ltd., an Irish technology distributor, where he focuses on assisting Microsoft partners with Azure skills & business growth. Aidan writes a lot about public and private cloud technologies on his site and is the Contributing Editor on Microsoft virtualization for Petri.com. He has spoken at events around Europe and the USA, including TechEd Europe, Microsoft Ignite, E2EVC, and more, about Hyper-V and Azure. Aidan also runs a company called Cloud Mechanix, which runs hands-on Azure training in the EU. 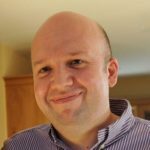 Kevin Greene is a Microsoft MVP and consultant working for Ergo, an IT services and consulting company located in Dublin, Ireland. 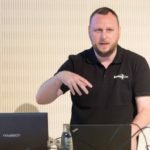 A regular speaker at local and international events, he has also authored a number of books on Windows Server and Cloud and Datacenter Management technologies. Kartik Pullabhotla is a Program Manager on the Microsoft Azure Backup product engineering team and is responsible for cloud-integrated backup solutions for hybrid IT environments, at scale monitoring and automation. Kartik has earlier worked on Azure Backup’s hybrid offerings such as Microsoft Azure Backup Server and Azure Backup agent. 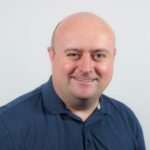 Now he works on File recovery from VMs, enlightened workload backup support, automation scenarios such as Powershell/CLI/ARM templates and REST APIs and Monitoring solutions for Azure Backup. With understanding on both hybrid and pure Azure offerings and insights into scale requirements for automation, Kartik hopes to expedite usage of cloud for infrastructure management and data protection. Schrödinger’s Code – Code that has been written, but not tested, and is in a state of neither working nor failing until it is observed. Besides my activity for ten years as a journalist and product manager for the Norwegian IT- Magazine ITpro.no, I have also managed to acquired two certificate of completed apprenticeship within electronics and ICT. As of fall 2015 I have completed a bachelor degree in information science (BASV-INFO), and spring 2018 I completed my degree in Work- and organizational psychology at the University of Bergen, combined they focus on software development and motivational- and organization psychology. 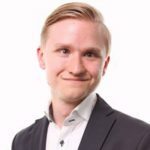 In my daytime job at Innofactor I focus on user experience and the interrelationship of humans, computers and implementation of new technology to peoples life. I have been awarded with the MVP since 2014 and MODE (Microsoft OneDrive Expert) since 2017. I have been a frequent speaker at various local seminars, TechDays Sweden, at Nordic Infrastructure Conference (NIC) and Ignite. 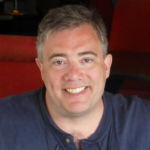 Bob Duffy is a SQL Server MVP from Dublin, Ireland who is MCA, MCM and now Analysis Services “Maestro” certified. Bob used to work for Microsoft Consulting Services a Senior Consult and subject matter expert for BI/data. 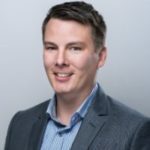 He now works at the Prodata SQL Centre off Excellence in Dublin, Ireland where he helps enterprise customers with cloud architecture, design, performance tuning, benchmarking and pretty much anything to do with SQL Server or Business Intelligence. Damian is a Principal Consultant for Lumagate; an evangelist guided on the principal of “Making incredible technology, incredibly simple.”. Recognised as a Microsoft MVP since 2011 and Cisco Champion since 2014, he can be found blogging at www.damianflynn.com, tweeting under the alias @damian_flynn, and has published a number of white papers, technical articles, webinars, and co-author of multiple Microsoft Cloud related books, and Official Courseware. He is a regular presenter at many international and community events. Currently focused on Cloud Technologies and the Hybrid Datacentre, Specialising in Azure Governance, and sustainable DevOps; Assisting organisations on Cloud optimised delivery of Legacy Apps and Microservices, leveraging containers and serverless when possible. When not working; his passion is IoT, with a background in PLC and emmbedded electronics, and has delivered professional home automation solutions. 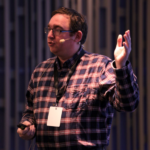 Freek Berson speaks at various conferences around the world including Microsoft Ignite, Microsoft TechSummit, Microsoft TechDays, BriForum, E2EVC and ExpertsLive. 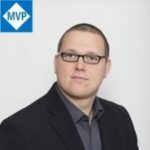 Freek is awarded Microsoft MVP since 2011. He co-athored the book “RDS – The Complete Guide” which is available on Amazon. He works as an Infrastructure Specialist at Wortell, a system integrator company based in the Netherlands, where he focusses on End User Computing and all related technologies mostly on the Microsoft platform. 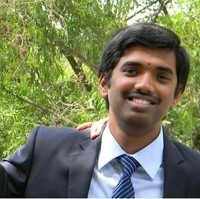 He is also a managing partner at rdsgurus.com. 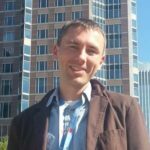 He maintains his personal blog at http://themicrosoftplatform.net where he writes articles and blog posts related to Remote Desktop Services, Azure, and other Microsoft technologies. 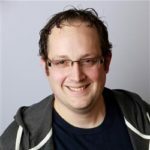 He is also experienced in performing automated deployments using Azure Resource Manager and designing JSON templates. . You can follow him on twitter via @fberson. 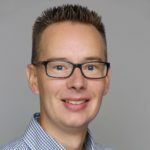 Gregor is working for sepago GmbH as a Cloud Architect for Azure. 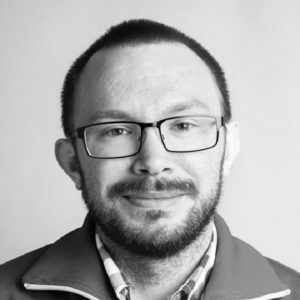 Before joining sepago, he was working as Cloud- and Infrastructure architect with main focus on Microsoft technologies like Windows Server, Hyper-V and System Center. He is organizer of the Azure Meetup Bonn, an local Azure user group near cologne. Henry Been is an independent architect and developer from The Netherlands. He works with development teams to create great software. Pascal helps companies embrace Microsoft Azure and build large scale distributed systems with modern architectures based on microservices. 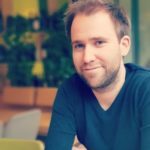 Pascal works as an Azure Cloud Consultant at Xpirit. 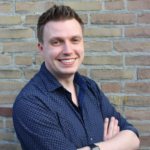 He is the co-founder of the Dutch Azure Meetup and is awarded by Microsoft with the MVP award for Microsoft Azure. In his spare time he enjoys killing monoliths, just for fun. 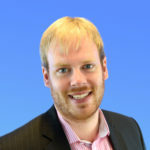 Peter works with organisations in the UK and across the world on their Microsoft Enterprise Mobility solutions using. 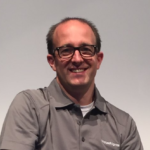 Peter was awarded as a Microsoft Most Valuable Professional in 2018 and is an active member of the IT community as a community leader of WMUG. Peter is also a qualified trainer, published author, blogger and conference speaker. 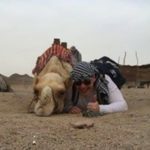 I like to call myself a Technical Evangelist and i absolutely love to be challenged and inspire colleagues, customers and the community in general. My goal is to empower every person to be both productive and happy at work – regardless of where it is at any particular moment. 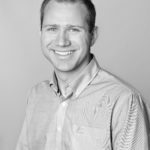 Thomas Maurer works as a Lead Architect and Technology Lead (Member of the Executive Team) at itnetX AG, a consulting and engineering company located in Switzerland. Thomas helps companies to transform their business to the Cloud. Thomas is focused on Microsoft Technologies, especially Microsoft Cloud Platform based on Microsoft Azure, Office 365, System Center, Microsoft Virtualization and Microsoft Datacenter Solutions. Thomas is heavily collaborating with Microsoft in several different programs such as Partner Cloud Solutions Architect (CSA), Azure Advisor and various Microsoft TAP and Preview Programs. Before Thomas joined itnetX he has worked as Head of Microsoft Engineering for service provider where he was responsible for planning and implementing public cloud solutions based on Microsoft Technology. Beside the certifications as Microsoft Certified IT Professional MCITP: Enterprise Administrator and MCTIP: Virtualization Administrator he is also one of the first Microsoft Certified Solution Experts for Private Cloud solutions, Server Infrastructure and Microsoft Certificated Solution Developer Azure Solutions Architect(MCSE: Private Cloud, MCSE: Server Infrastructure, MCSE: Windows Server, MCSD: Azure Solutions Architect).